Today is March 5, just a couple of weeks till spring, yet we had a blizzard. I’m talking big, fat snowflakes. And lots of them. Of course, it wasn’t really warm enough to stick, so tonight it just looks like we have had a big rain. The blizzard was a wet one, and snow was sticking to everything. And it was freezing out! The wind was blowing frigid air; it was snowing humongous snowflakes: Where in the world is spring?! So… since it was so chilly, I came home and made chili. Somewhere along the pathway of life I have accumulated all these old dishes. Some are cracked, and yes, I realize they are probably not the safest things to use since they have cracks. They may have given me some kind of bug that affected my tummy, or they may not, but either way, I will continue to use them because I like them. Cracks and all. 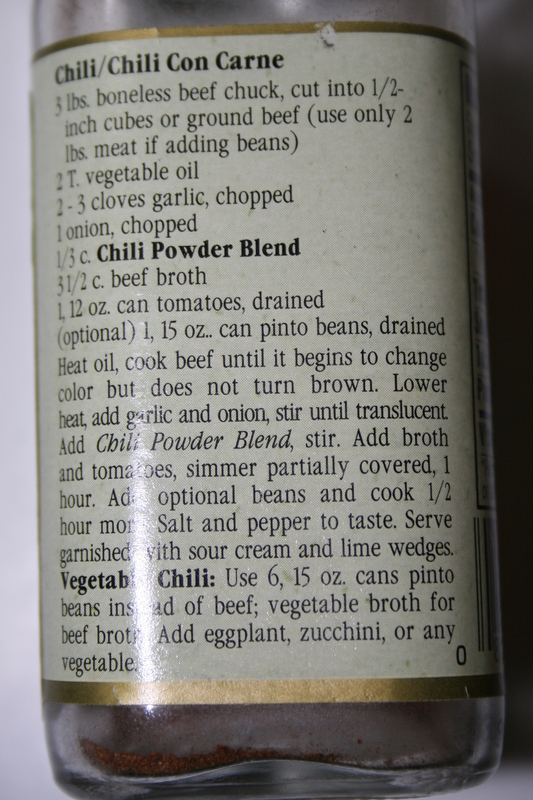 The spice I used in the chili had some interesting ingredients: So I’m wondering. 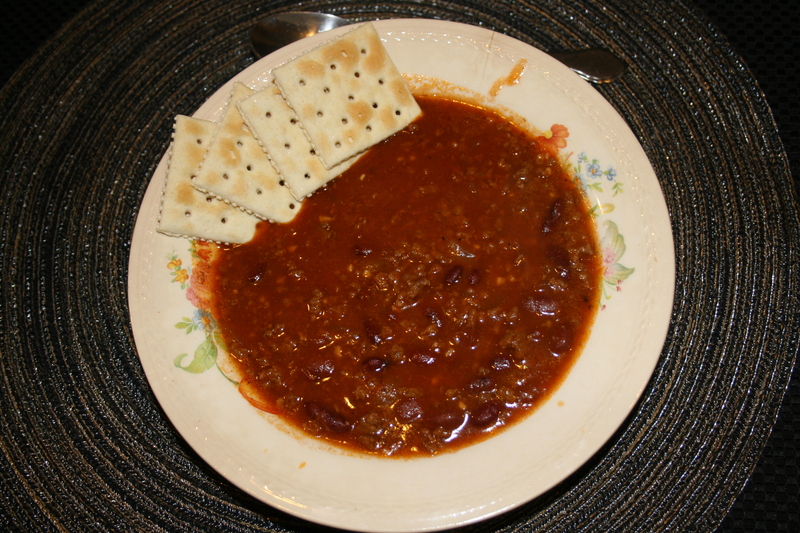 How many people put cinnamon, cloves, or cocoa powder in chili? 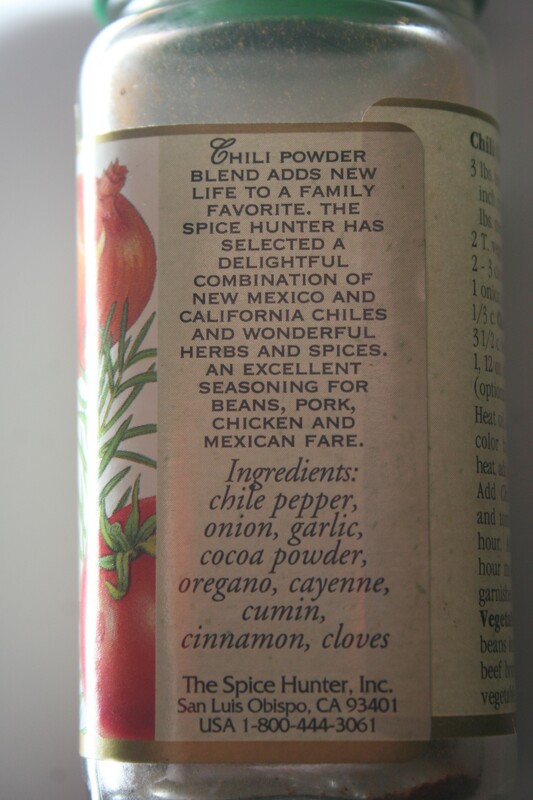 blizzardchili recipecinnamon in chilicloves in chilicocoa powder in chilihuge snowflakeswhere is spring? I usually put cinnamon in chili. I remember reading somewhere what cinnamon does for the flavor but can’t remember what. My rememberer does not work as well as it should at times.